As I mentioned in my first gift guide last week, I really have been thinking a lot this year about how to give a little smarter, and think more about shared experiences than stuff that may end up in the back of the closet or gathering dust on a shelf somewhere. But I still very much enjoy and appreciate the fun and ritual of opening presents so, as I said before, a mix of both is ideal! I think this idea of experiential gifts with a little something wrapped up works especially well when you're shopping for guys. If you're going to be spending copious hours at home with family this season, why not wrap up a game that you and Dad can play together, like backgammon? Or, inspire your boyfriend (and you!) to finally start planning that epic road trip with annual passes to America's National Parks and a cool, cozy Pendleton blanket for star-gazing. Drinking, biking, hiking, skiing or walking the dog—just spend a minute or two thinking about what brings joy to the people on your list, and then upgrade that experience for them. Below, shop some of my favorite experience-linked gifts of the season, and then check out my guide on Style Girlfriend with a similar spin. 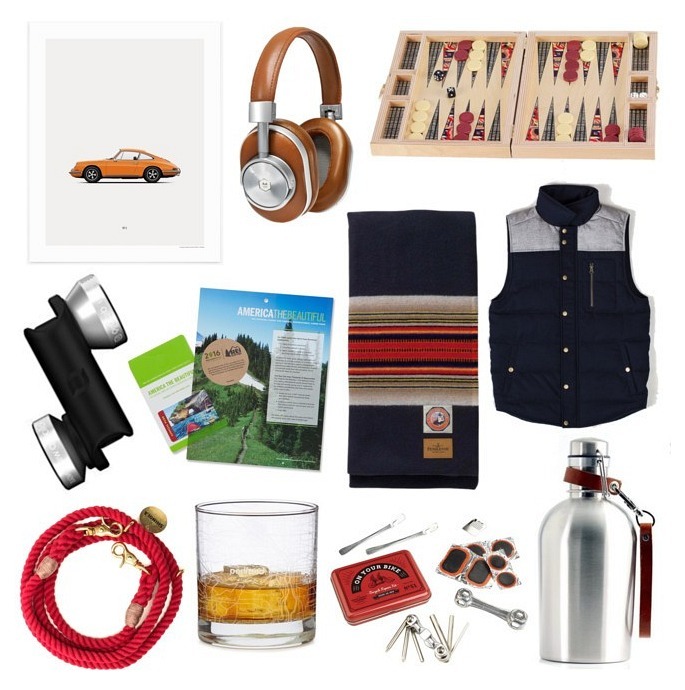 Check out the 'Editor's Picks' guide for guys I created for Style Girlfriend, too!